Batcave Toy Room - Better Living Through Toy Collecting: Where's Merle? It's going to be a good 10 months before The Walking Dead is back for its 2nd season, but we are already starting to see teasers of what the 2nd season may bring. 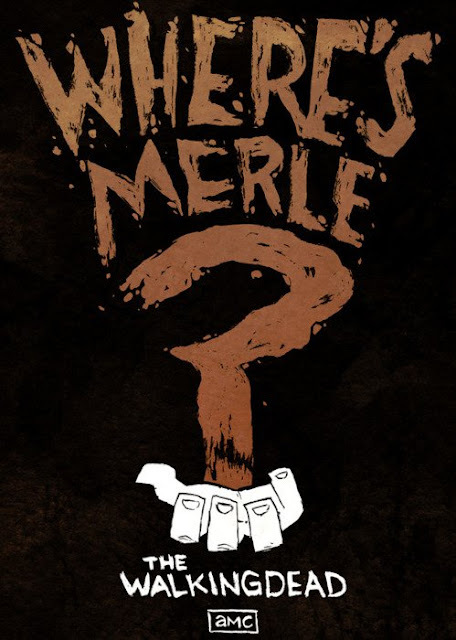 So, where is Merle? The last we saw of him was his hand. Left where he was last seen, handcuffed to the roof of a building in downtown Georgia. One interesting theory I have heard thinks Merle lead the zombies back to where our group of refugees had camp set up. Did he do this to get revenge? I guess we'll have to wait and see in October. What do you think happened to Merle? Are you dying with anticipation for next season of The Walking Dead ?